From high traffic roads to cycling roads. 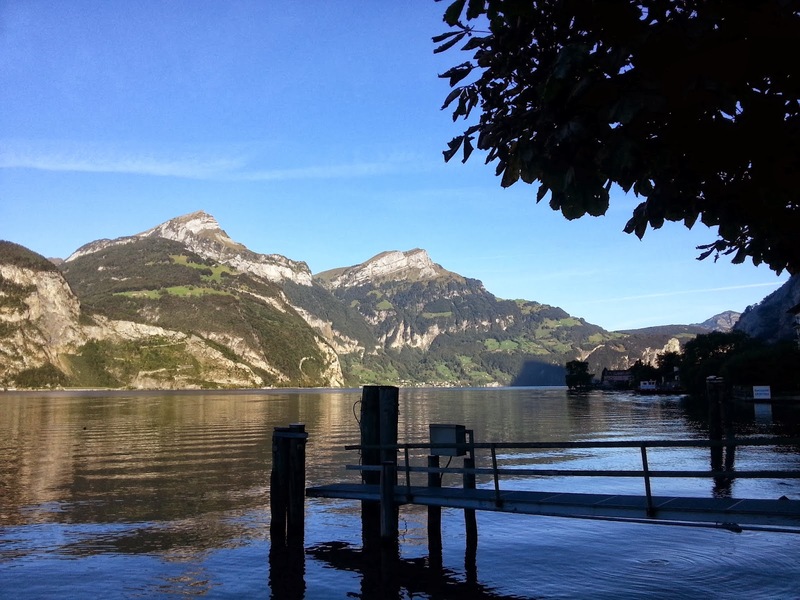 Today starting with downhill and going back to the Lucerne Lake (also called "Lake of the Four Forested Cantons"). The first thing I notice when going out the hotel is children going to school riding push scooters very fast down the hill, indeed Isenthal village is laying on the hill side. 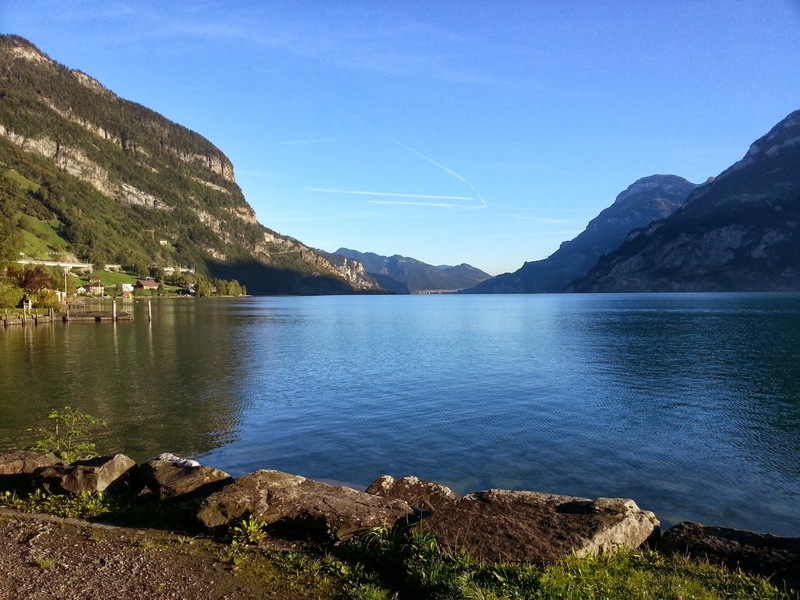 This picture makes clear the uphill I faced yesterday evening to reach the hotel. 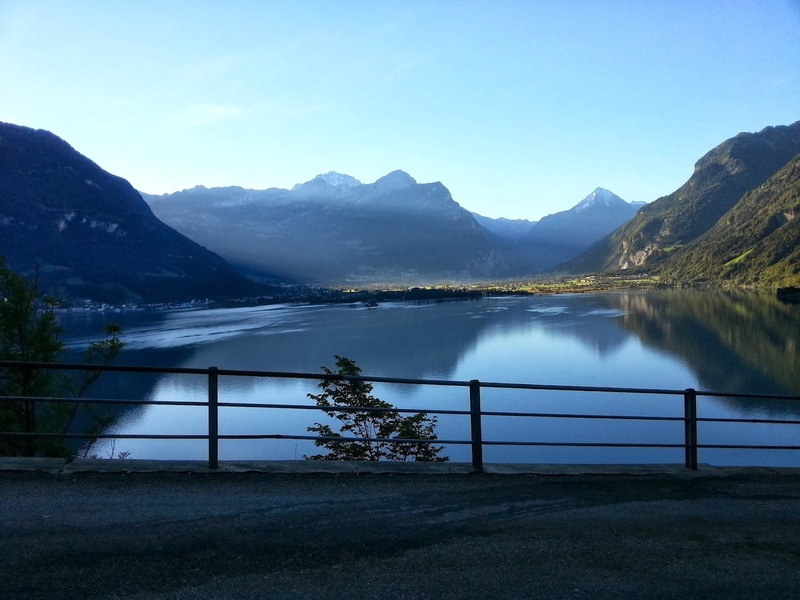 In order to go north I need to move on the east side of the lake, thanks to some advices from OSM I ride in a very small roads that make way shorter. 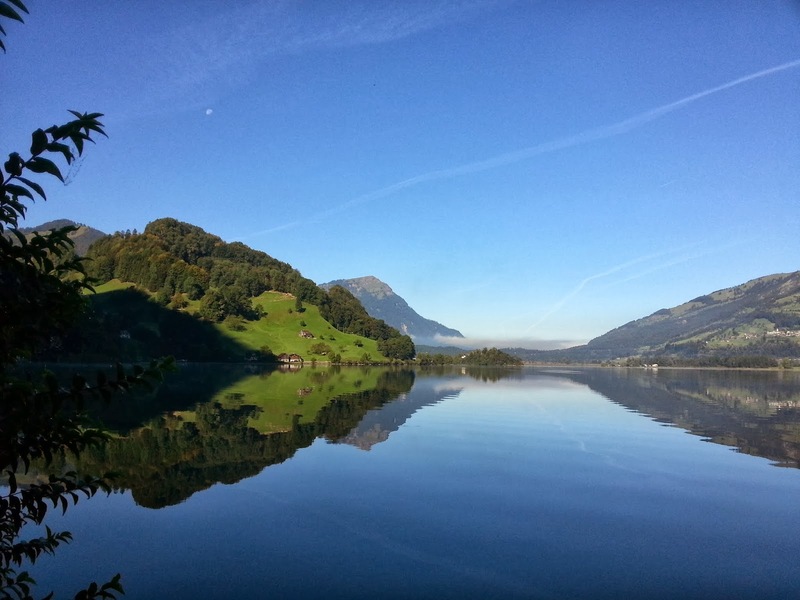 The lake in the morning light has an extreme charming appeal and I often stop to take pictures, you can see all of them in the gallery. 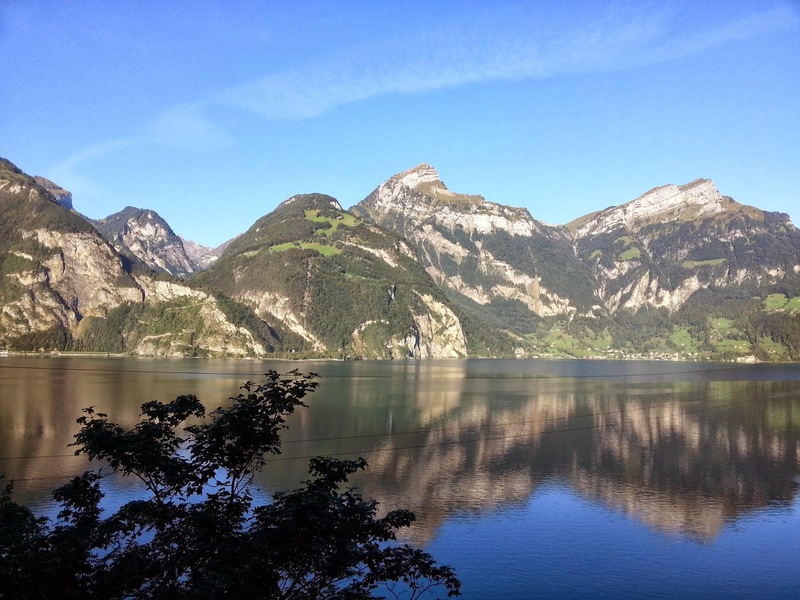 Another picture of the lake with the mountains on the west side mirrored in the lake. 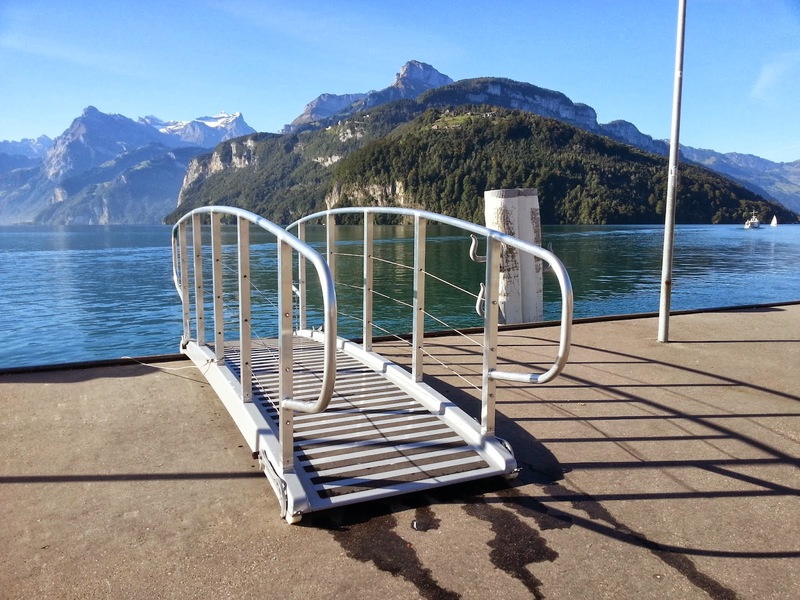 There is cycling path along the national road number 2 on the west side of the Lucerne Lake. In some sections I ride on the old road on the side of the mountain that in this part is steep. 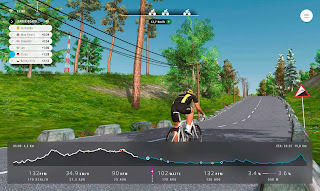 The new road has much more tunnels, some tunnels are shared with new road and hence there are a lot of traffic and noise and some parts are separated and they are much quiter, there are even some dedicated tunnels for bikes. 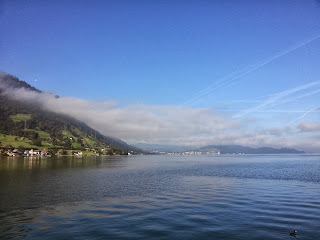 Once arrived in Ingenbohl I take the last pictures of the Lucerne Lake in the ferry boarding area. 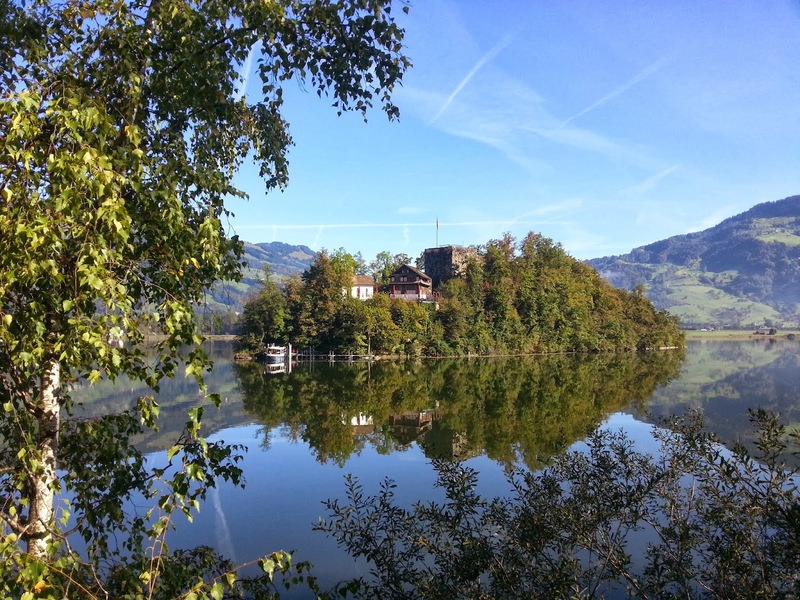 Once left the Lucerne Lake I move to the Lauerz Lake where, thanks to a local biker advice, I decide to ride the lake in the south side. I ride hence with the lake on my right. I ride the cycling path together with a group of school children. I notice indeed that here is quite usual to see children going to school with the bike, often eve without an adult person picking them up. As general rule I notice that it is better to ride along the lake leaving the lake on the right side, indeed usually the bike path are double way and it is possible to see better the lake and riding on the "right" side. 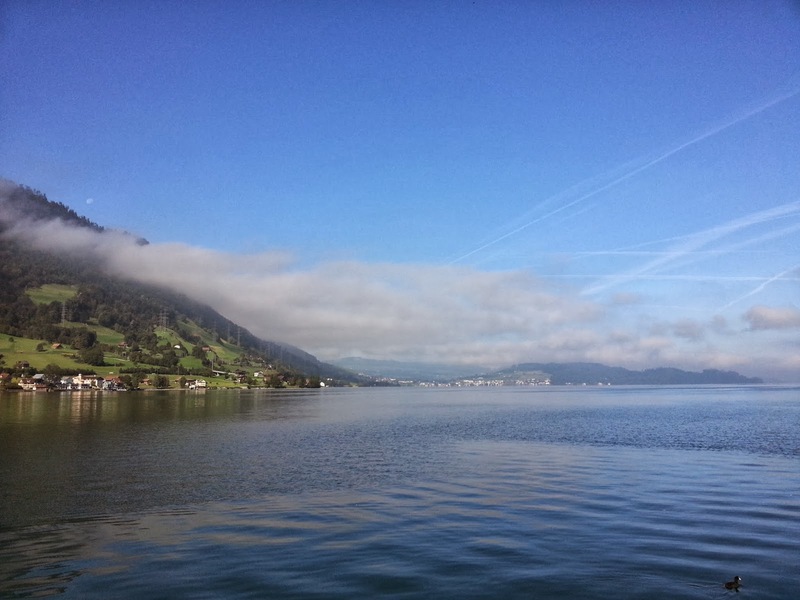 When I finish to ride along the Lauerz Lake I move to the Zug Lake passing a across Goldau and Arth. Applying my general rule and asking to a person I met I decide to ride along the lake on the left side with the lake on my right. I notice the difference with the Italian lakes for instance the Orta Lake, here you can continuously see the lake, you can ride with the lake on your side without the sequence of gates, walls, parking, etc... On the other side I have to tell that the people in Italy show more enthusiasm when meet me, they understand I'm travelling and they are curious and want to chat, while here there is a complete indifference from the people. At the end I leave the lakes area. 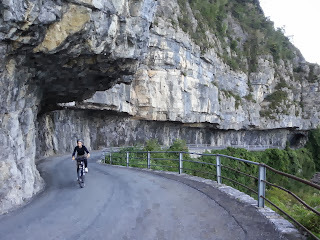 I have to admit that the ride in the lakes area was really relaxing, I was often alone in the cycling paths. The more I move north the more the number of cycling routes considerably raise. 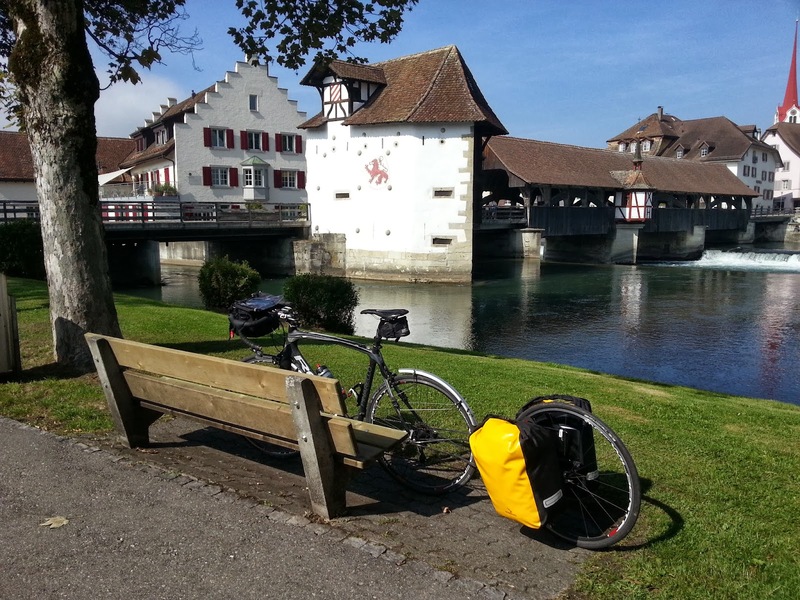 Up to Bremgarten sometime the cycling road finish and you don't know where to continue. 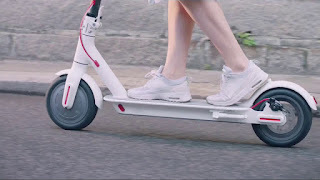 Generally speaking I prefer the cycling lane on the side of the road, it does not bring the message that bike is a vehicle that can ride only on a separate road, but it can share the way everywhere with other vehicles. 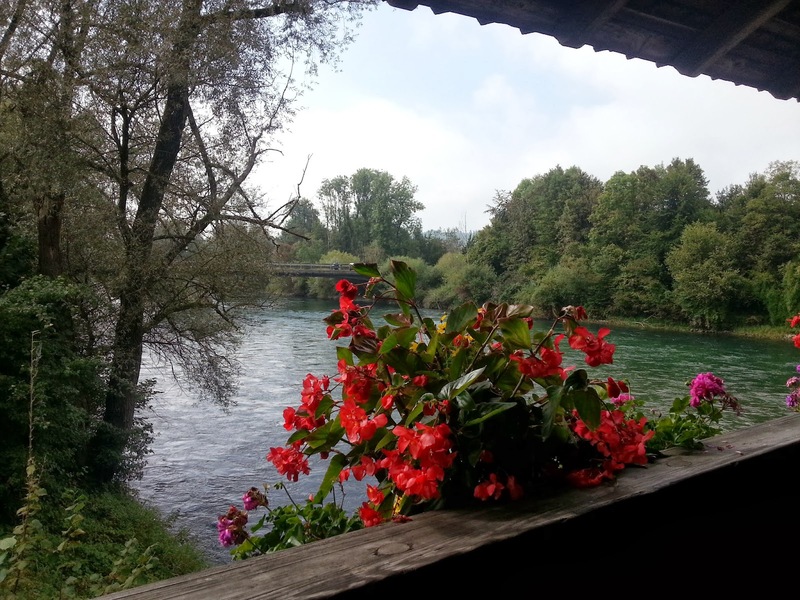 Once arrived to Bremgarten a town on the Reuss I take a little break. 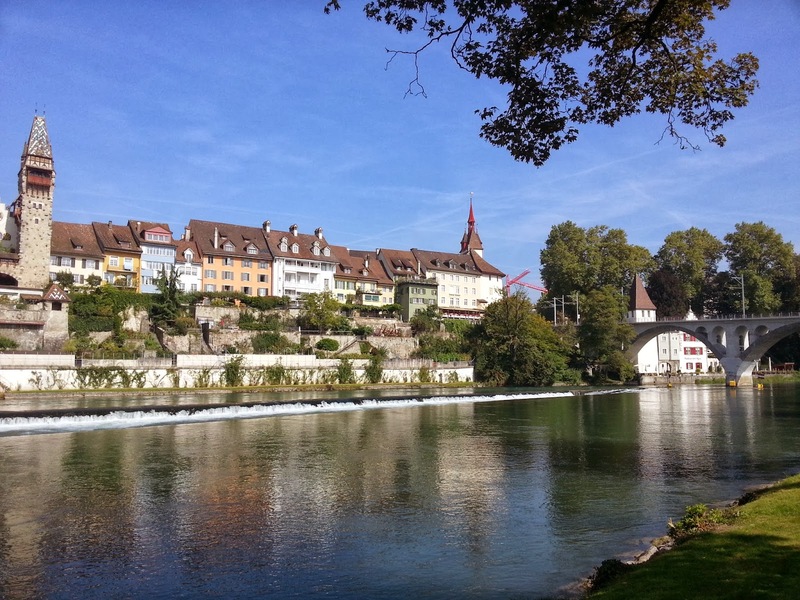 I take a break to take picture in this place spectacular lace along the Reuss river (it is the fourth largest river in Switzerland after the Rhine, Aar and Rhone). From Bremgarten the path become more pleasant because the dedicated bike way is indicated quite easily by some signs (brown coloured) different from cars sign. 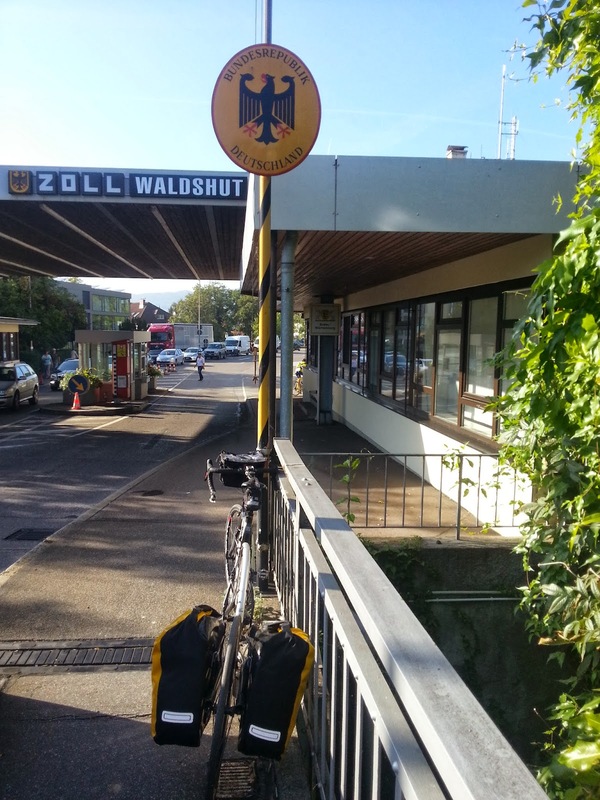 The signs lead me with no issues up to Koblenz at the border with Germany through Baden. 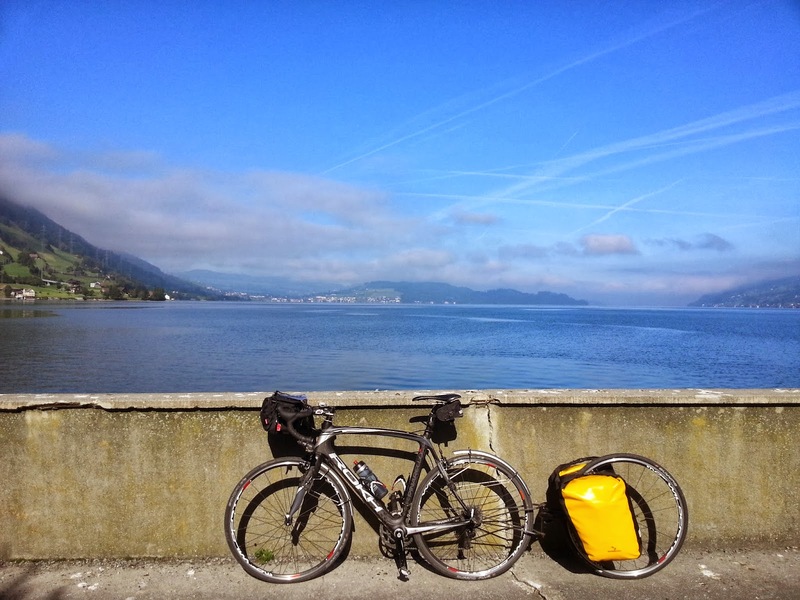 The bike dedicated route is quite pleasant because avoids the main traffic roads even if the navigation aspect become more difficult because it is necessary to keep the level of attention high in order to discover all the right signs and right direction additionally it is necessary to often stop for checking the map. Reached the border with Germany in Koblenz I cross cross the border on the Waldshut–Koblenz Rhine Bridge on the other side I'm Baden-Württemberg region. Once in Germany the cycling path experience becomes very poor, no more dedicated signs, and where the signs are present they lead to unknown small villages, the car roads seems to be very unsuitable for cycling. I realize with GPS that following cycling routes I'm going out of my way. Fortunately on the way I meet a nice family, available to help me with local paper maps. 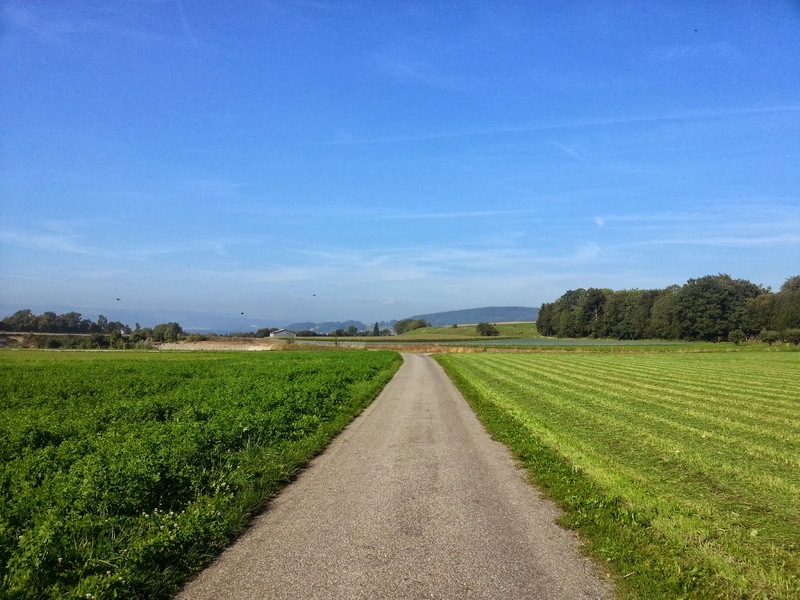 The description of the way seems to be difficult so the son decided to lead me up to the junction for the way to Uhlingen. Thank you Manuel and a big embrace to the all family. The road L157 goes along the creek Schlücht. 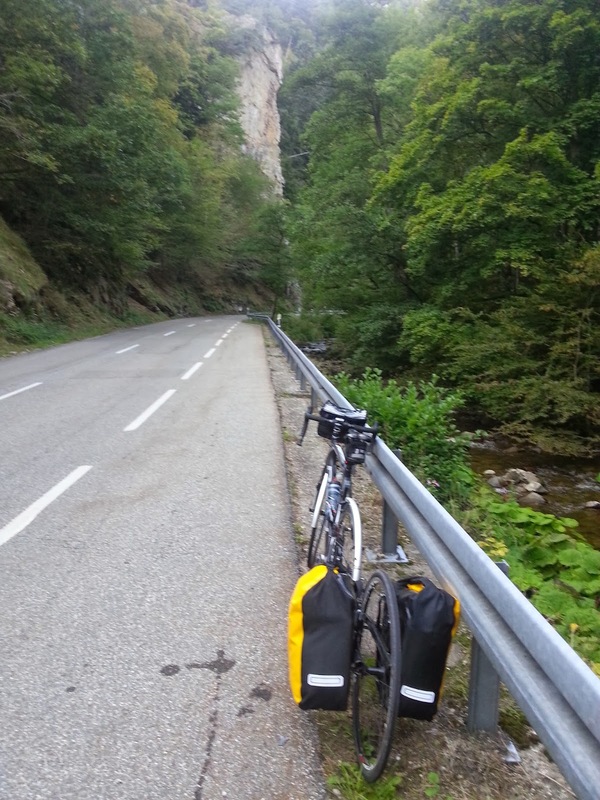 On this road I can already feel the impressive nature of the Black Forest, I can even catch a sight of a roe deer between trees which shade the road quite densely. 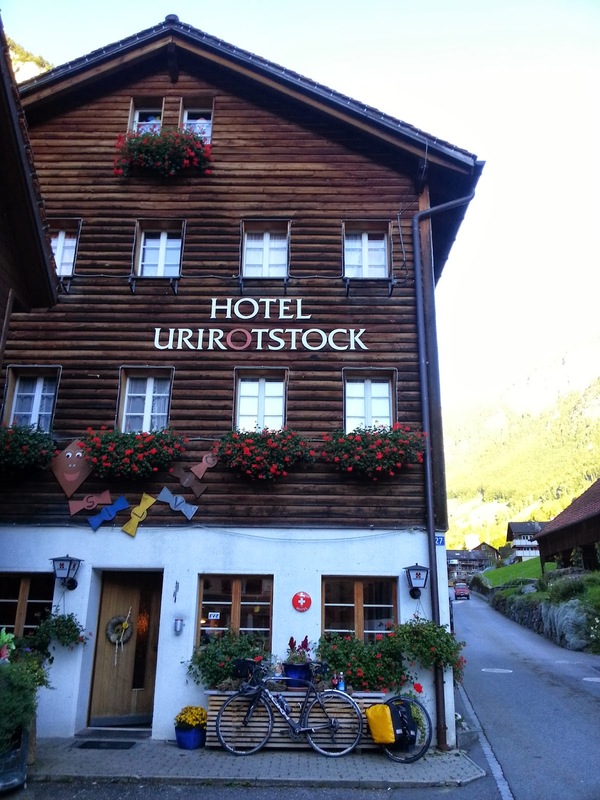 I arrive at the Hotel Posthorn where the owners are kind and attentive.